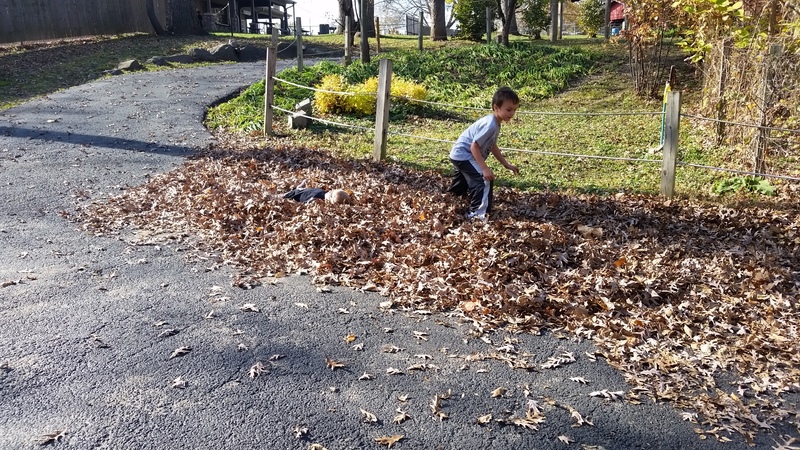 Even in this beautifully mild November weather, the boys are already showing signs of cabin fever. They woke up this morning full of energy. They must have had a good night’s sleep, because they were bouncing off the walls…literally. I’d planned a few reading activities and games for the morning, but I scrapped those plans as soon as I saw the gleam of mischief in their eyes. They were full of energy and, if I didn’t redirect it, our day would be full of frustration and tears. They sat long enough to eat a good breakfast. Then we headed out the door to burn off the crazy amount of energy they’d stored up overnight. 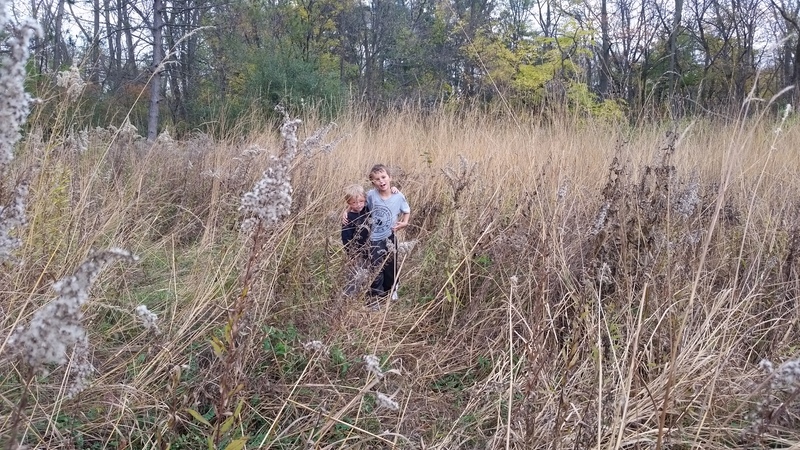 “The Nature Center!” shouted Joe. First we went to the zoo. Many animals are much more active in this cooler weather. There are also not as many people there since school started so we pretty much had the run of the place. 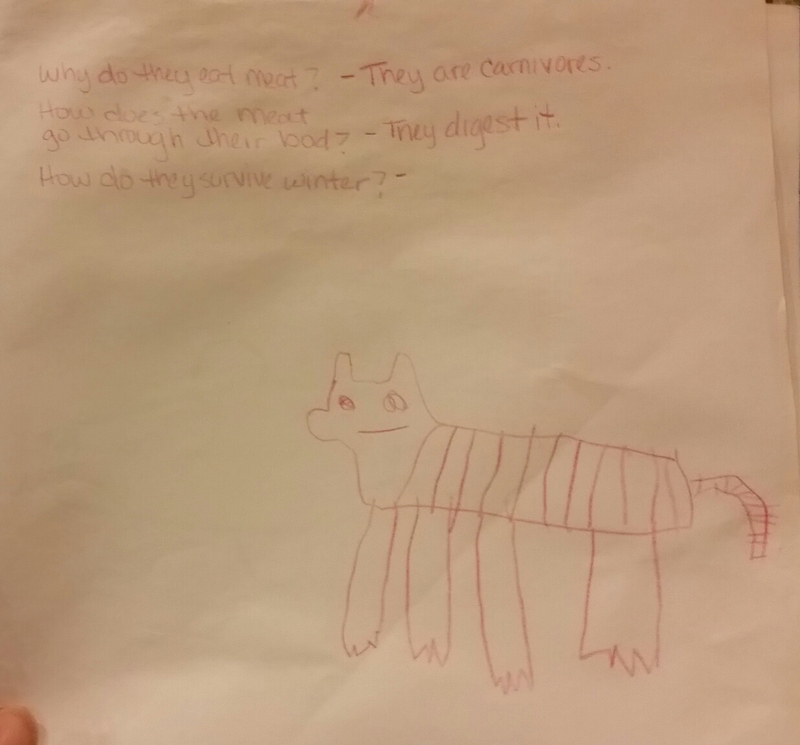 The both picked a tiger and wanted to learn why they eat meat, how the meat “goes through their body” and how they survive the winter. 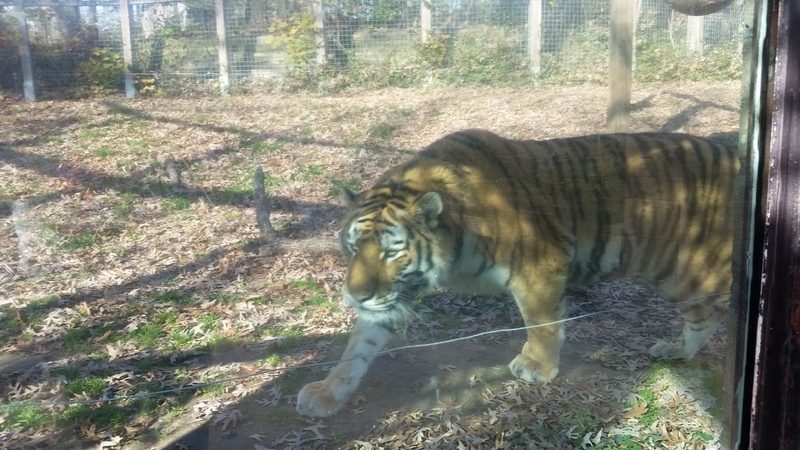 When they’d had their fill at the zoo, we ate a quick lunch and headed to the Nature Center. “Yeah, a cardinal!” said Jake. 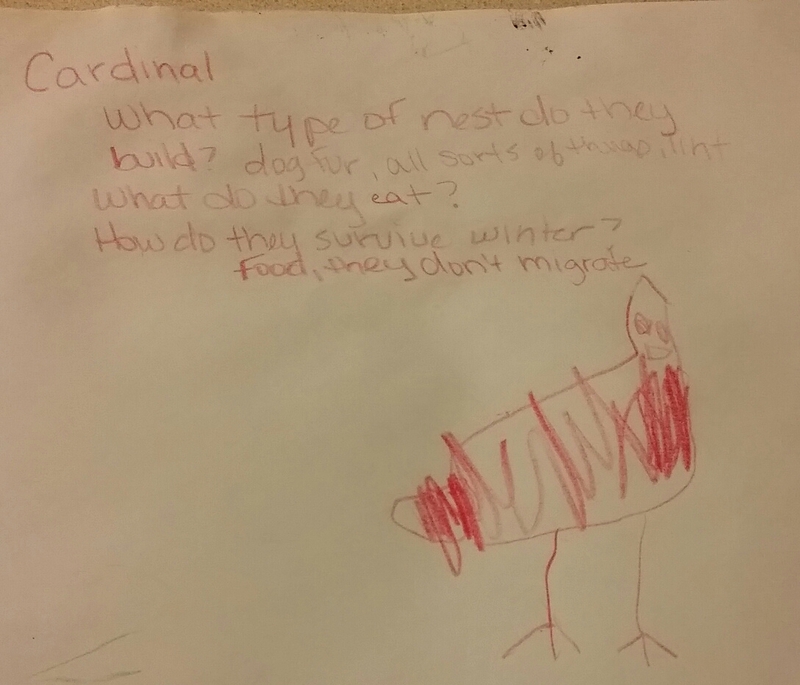 When we got to the Nature Center, we asked a guide about cardinals. They wanted to learn how they survive the winter, what they eat and what kind of nest they build. We searched and searched but did not find one. Joe drew a picture anyway. After about an hour at the Nature Center, all the fresh air and exercise was starting to take it’s toll on poor Jake. 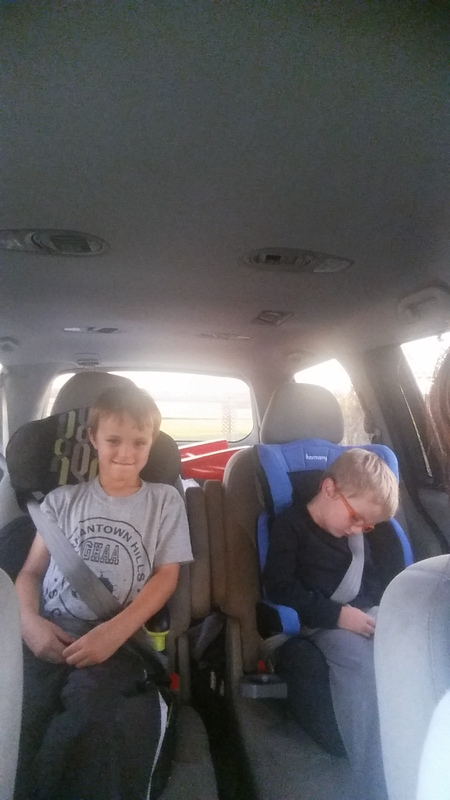 While we drove home, I asked the boys about what we had seen on our field trips. Tigers, lions, giraffes. Trees, birds, deer beds. They didn’t remember everything, but a few facts stuck and they had a great time discovering while burning off almost all their energy.